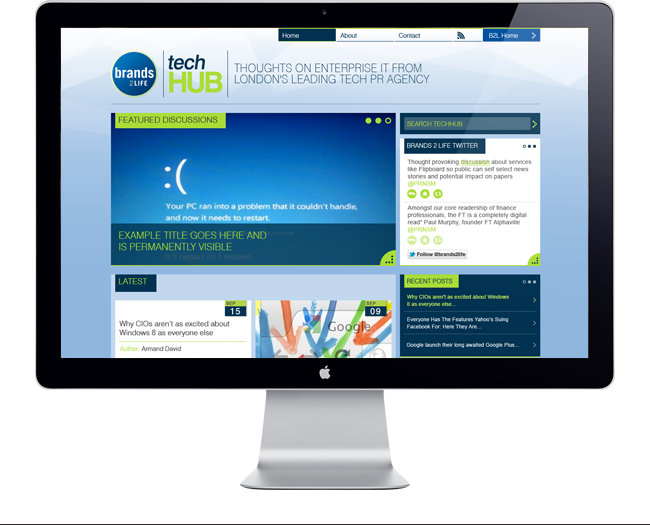 As one of London’s leading technological PR agencies, Brands2Life wanted to re-style their newly established technology blog, Techhub, to suit their recently re-designed primary company website. We were commissioned to tie the blog’s presentation style to the new online look we had developed for the primary site, introducing a sense of brand connection. Although the key was to establish a visual link, the structure and design had to be different enough for the user to realise they’re on a sub-platform of B2L; the company’s digital offering. Bearing this in mind, the blog required a logo or icon to tie the offerings together. Using the brand fonts, a simple and flexible logo was created that could be used in conjunction with the main B2L brand. 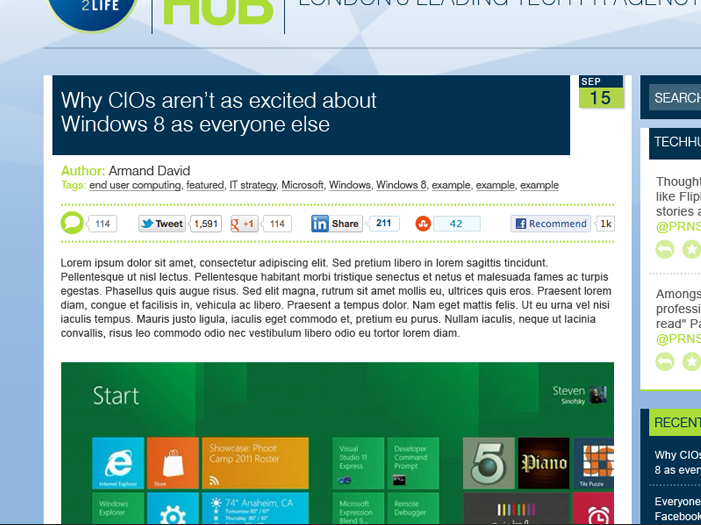 The Techhub homepage introduces hierarchy to key stories and information. 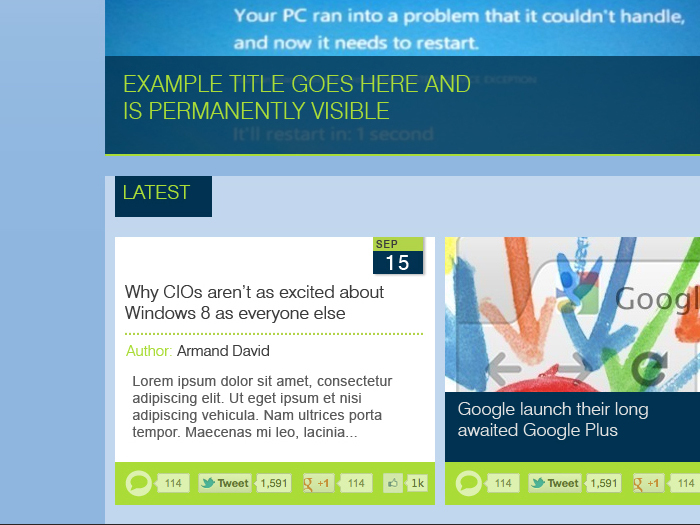 A combination of imagery and text led ‘posts’ add visual interest to a sector that’s reporting can often be too copy heavy. Varying graphic furniture ties the blog together with the main B2L website. 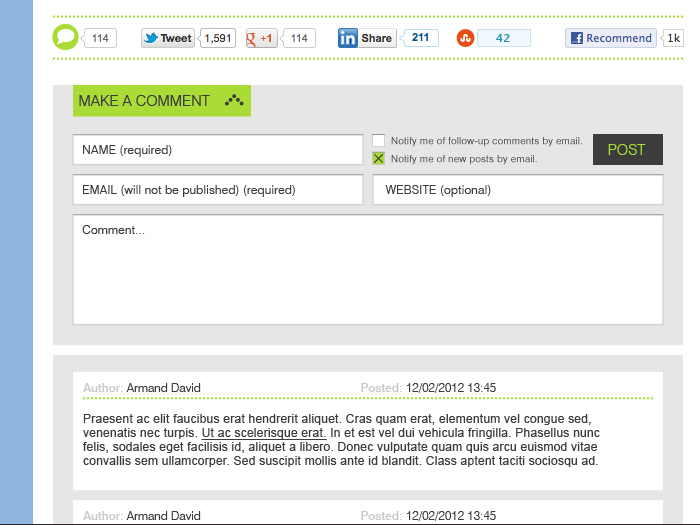 Customised structure gives the Techhub a look removed from common blog templates.